The DePuy Synthes Craniomaxillofacial (CMF) Distraction System is used to treat congenital conditions and injuries that impact the integrity of the jawbone. The implant is meant to help lengthen the bone through a process known as distraction. Numerous people were injured due to defects in the system, however, which resulted in severe complications. In most cases, these complications were life-threatening and required immediate medical intervention. If you or a loved one was injured, the Chicago medical device attorneys of Rosenfeld Injury Lawyers LLC could help you recover fair compensation so that you can meet your financial obligations. How Does the DePuy Synthes Craniomaxillofacial (CMF) Distraction System Work? 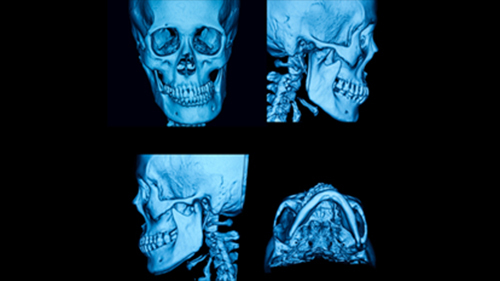 Congenital birth defects and injuries may cause a misalignment of the jaw, requiring surgical correction for the patient to experience a normal range of motion. The DePuy Synthes CMF Distraction System uses an implant to lengthen the lower jawbone and the side of the jaw over time so that the bone can grow into its proper place. Injuries were reported to the FDA when the devices caused a reversal in the direction of the distraction or failed to lengthen the jaw the distance for which the procedure intended. Reports state that when this occurs, it can pose the following risks to the patients who received the implants. Obstruction of the trachea— this makes it more difficult to breathe and impacts children more greatly than adults due to the effects of oxygen deprivation on a developing brain. Respiratory arrest— complications can eventually lead to complete respiratory arrest and force the need for doctors to perform surgical procedures to save the patient’s life. The Food and Drug Administration issued a Class I recall of the impacted devices on August 28, 2014. This was following a notice sent by DePuy to its customers in April of 2014, warning them about the problem and advising that doctors remove any equipment in the impacted lots from their inventory. Reasons for the recall were that the devices could reverse direction and the distraction distance could shorten following the procedure rather than maintain the intended distance. Currently, there are 15 known incidents involving injured patients. More are likely to surface as patients and their families come forward with claims. If you are unsure of whether you have the right to seek compensation following an injury you believe was caused by this device, you should consult an attorney for advice on how to proceed. In order succeed with these types of cases, you must be able to prove that you were injured due to a defective product or the failure of the manufacturer to warn consumers about the risks associated with their products. The compensation you may be entitled to may include the cost of revision surgeries, medical treatment for complications linked to the device failure, out of pocket expenses, pain and suffering and compensation for the permanent loss of quality of life. Our award-winning Chicago medical device attorneys have recovered compensation on behalf of thousands of clients whose injuries were the result of poorly manufactured medical devices. Our experience and knowledge of the law make us more than qualified to help you determine the appropriate course of action, whether it is to file a lawsuit or seek some other means of a solution. We would like to invite you to schedule a risk-free consultation with one of our lawyers so that we can conduct our own investigation into the details of your claim and let you know more about your legal rights and options. We can assure you that unless we can successfully recover compensation on your behalf, we will never seek payment for our time or services.